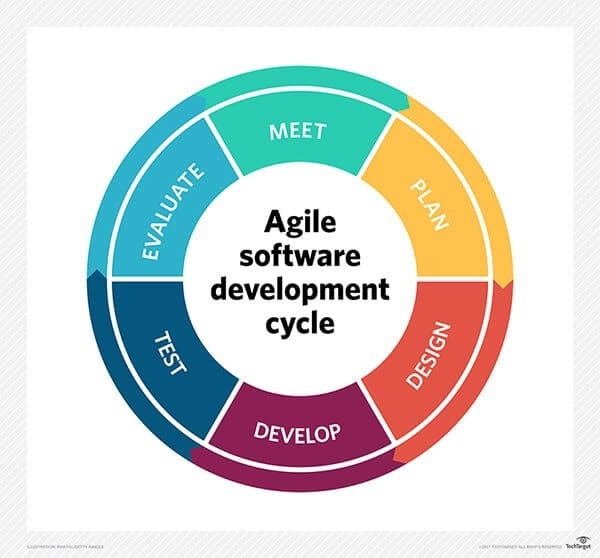 If you ever get involved with your developers in any software development project, you must have heard them say they follow an agile development methodology to get your product developed. You sure must have mixed ideas on what it is and how exactly it benefits you. Here is a comprehensive article on Agile Development Methodology that’ll have answers to all your queries. 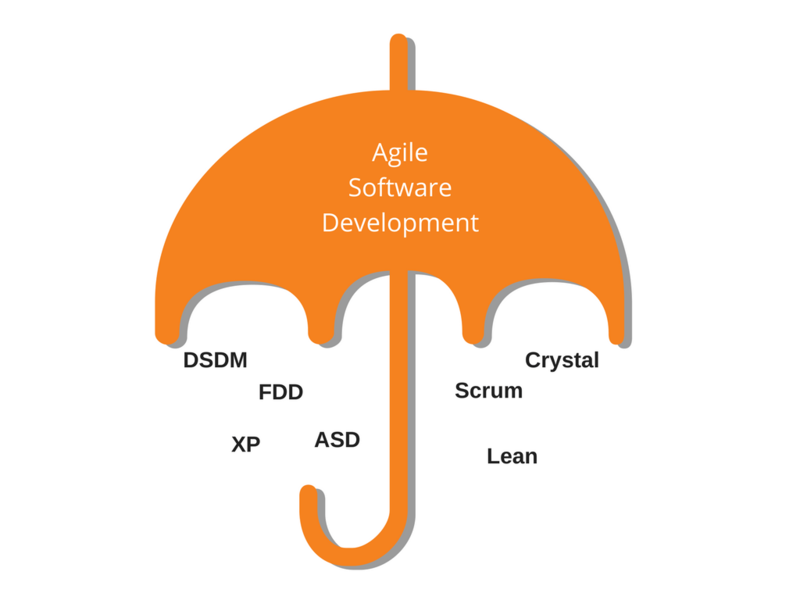 Agile Development methodology was coined in 2001 with Agile Manifesto getting its momentum no time after it. Here is a screenshot from pmi.org that states the estimated no. of companies that are reported using Agile approaches sometimes, often, or always. These numbers are not just indicative of its popularity but also its effectiveness and reliability. 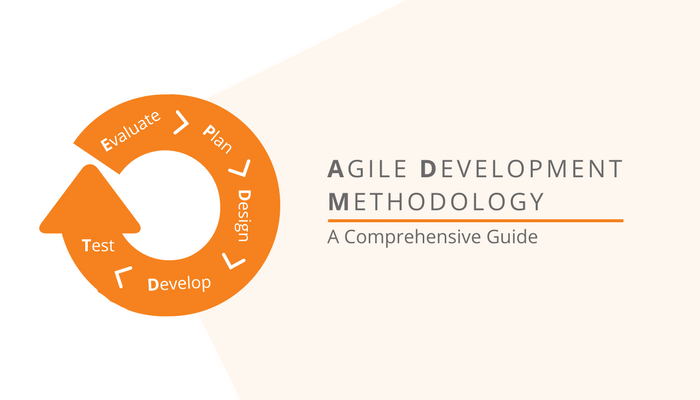 In this article we will discuss exactly what agile methodology is and how it is implemented, also cover the impacts that its variants will have on the overall performance of the product. So sit back and focus! Yes. These all terms seem really hard to deal with. But the good news is, they’re not! I’ll unfurl them one by one to give you an insight on how greatly these techniques work to make end products run hale and hearty. 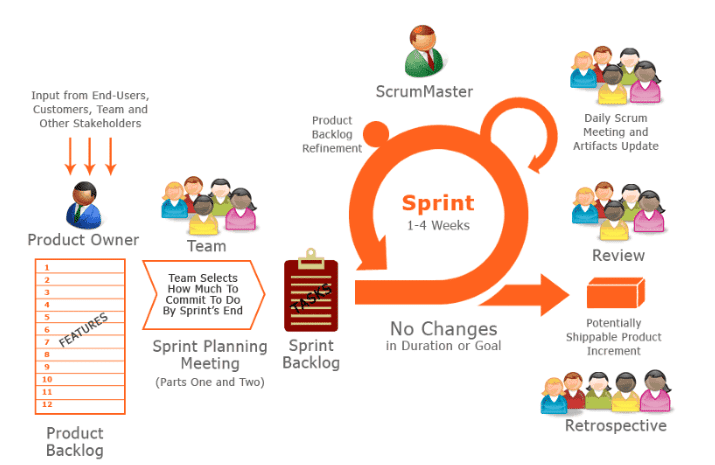 Scrum is one of the approaches that influenced the Agile Manifesto, which formulates a set of values and principles to guide decisions on how to make higher-quality software faster. Think of it as a framework managing a process, rather than a methodology where everybody in the team is assigned roles. Work is divided into sprints, and there is a ‘release’ after every sprint that is sent for the review. As the name implies, features are the gist of FDD. For example, “Estimate the sale”, “Validate the password of a user”, and “Authorize the sales transaction of a customer”. User stories are a basic source of requirements and input into your planning efforts. At the beginning of your project, the goal is to identify and comprehend the fundamentals of the domain that your system is addressing, and till the end of the project, you will continue this model to present what you’re creating. The second step is to build a Features List, grouping them into related sets and subject areas. 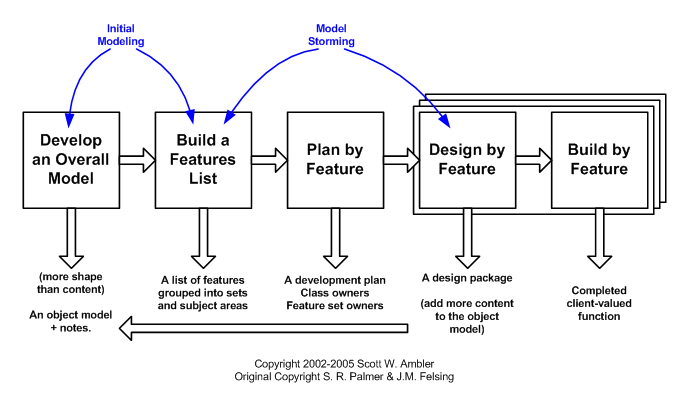 These two steps come under the initial envisioning effort of AMDD, which is the agile version of Model Driven Development, an approach to software development where extensive models are made before the source code is generated. Next, you plan by feature, the end result being a development, the identification of class owners, and the identification of feature set owners. The bigger part of the entire project, roughly 75%, is comprised of the next two steps: Design By Feature and Build By Feature. These two activities are exactly what you’d expect, they involve tasks such as detailed modelling, programming, testing, and packaging of the system. It’s focused on rapid creation and evolution of software systems. There are no pre-planned steps in this process. The goal here remains to provide the ability to accommodate change and to adapt to turbulent environments with products evolving with little planning and learning. It has more concern about collaboration and dealing with concurrency than about the details of designing, testing, and coding. This phase is shown as multiple boxes because team members or sub-teams are working concurrently to deliver the working components. This generates the bug reports and user reports used during the first phase of the project, and the cycle repeats itself. During this phase, components are implemented and tested. ASD is derived from the filtered practices of Rapid Application Development (RAD) and Evolutionary Life Cycles. 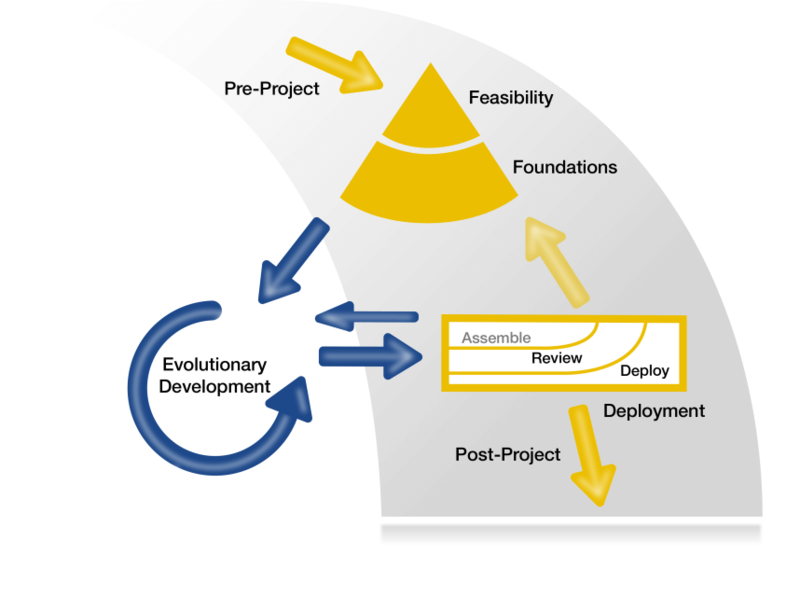 Adaptive Software Development was then expanded to incorporate adaptive approaches for the management, with prediction replacing Planning. Extreme Programming (XP) as a software development methodology is applied to enhance software quality and make it adaptive to fluctuating customer or market requirements. 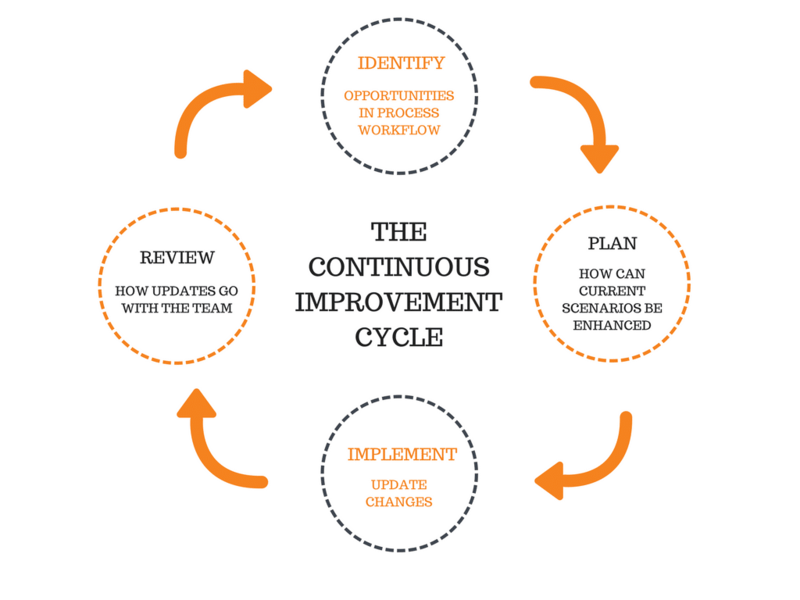 Being an Agile methodology it favours consistent “releases” in tiny development cycles, which is intended to improve productivity and introduce areas where new requirements can be induced. 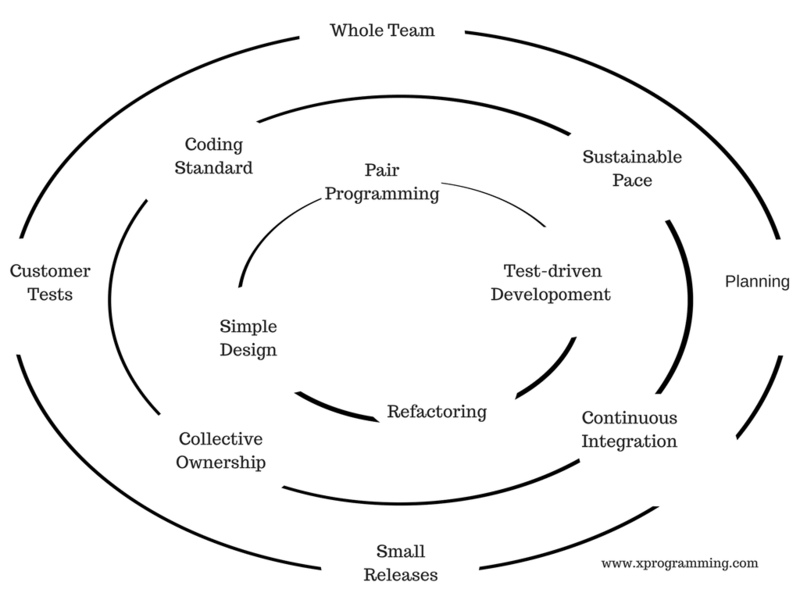 Extreme Programming is a set of easy and discreet practices that club together into an agile development procedure. XP is a great general-purpose method for making software. Everybody can follow it. Given that, none of the other Agile methods are transparent, or as broad in scope as XP. 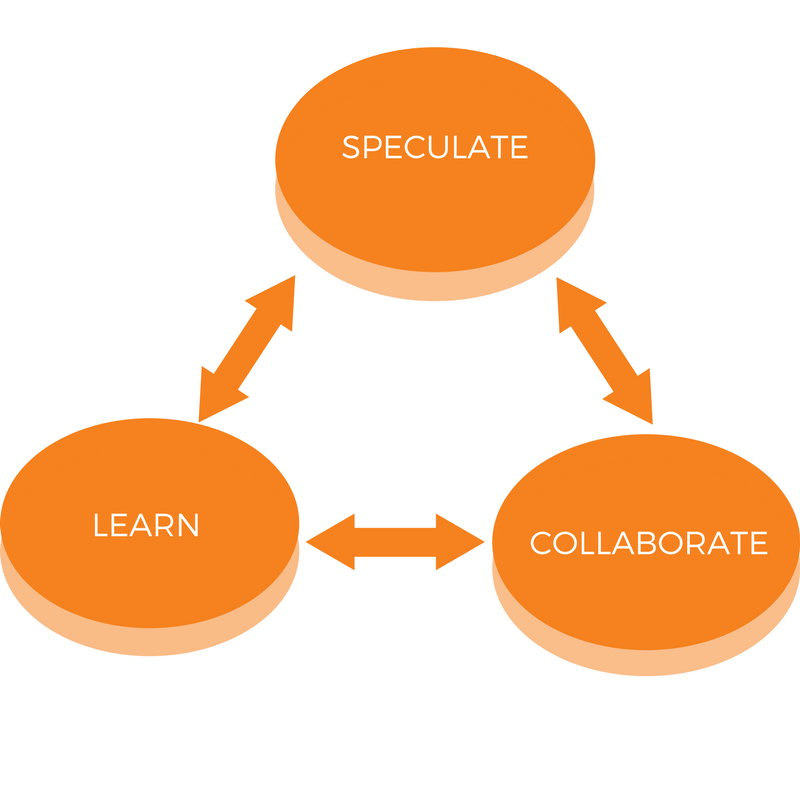 Let’s take an instance of Scrum, it is roughly equivalent to XP’s approach as a whole team towards a project. While there are distinctions in the details, it is okay to say that Scrum is a subset of XP. Also, many Scrum teams augment their procedures by contributing in many of the practices of XP such as Acceptance Testing, Pair Programming, Continuous Integration, and particularly Test Driven Development. The acceptance of delivered products depends directly on fulfilling requirements. Must have: All features classified in this group are a must to be implemented and if they are not, the system wouldn’t move ahead. Should have: These features are important to the system but can be left out if time constraints are stricter. Could have: These features integrate the system with functional items which can easily be reassigned to a later timebox. Want to have: These features serve a limited group of users and are of least value among all. 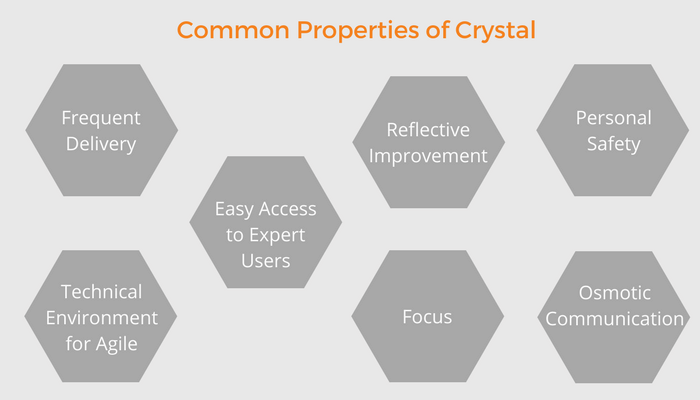 Crystal contains a family of agile methodologies like Crystal Clear, Crystal Yellow, Crystal Orange and others, whose characteristics are guided by a number of factors including team size, critical system, and project requirements. This Crystal family addresses the understanding that each project might need a tailored set of doctrines, and procedures in order to meet the project’s unique characteristics. Crystal focuses on six primary aspects: people, interaction, community, communication, skills, and talents. ‘Process’ is considered secondary. There are seven common properties in Crystal that imply the higher possibility of success. The methods are very flexible and avoid rigid processes because of its human-powered or people-centric focus. Lean comes from Lean Manufacturing and is a set of principles for achieving quality, speed & customer alignment. In a nutshell, Lean relentlessly gives up upon anything that isn’t adding value and only works on what is important first. Eliminating waste implies eliminating worthless meetings, tasks and documentation. Before proceeding with the cost here, you need to understand how much a mobile app can actually cost you. The deal with the budget in Agile Methodology is that the whole project is broken down into small ‘releases’ that constitute the final outcome. Each release is a work package whose price is customised. As a work package is completed, future packages are estimated accordingly. This lets for a level of re-prioritisation and new/revised features to sneak in. It’s your call to terminate the project soon enough if you don’t achieve the ROI you expected. This is permitted at any instance and is legit as long as the project team and customer have maintained a firm, and trusting work collaborative relationship. The benefit for the customer is that the project will wind up early, having completed all the valuable features needed to make the product viable. In return, the supplier is paid 20 percent of the liable contract value and offsets the risk of the staff. Change is something that’s intact in the blood of Agile software delivery. You are just not expected to know everything that is needed to make your product successful. So you can change about anything and everything you feel does not comply with your goals throughout the cycle. You can change things based on relevant data and feedback to ensure the delivery of the right product. At the end of an iteration, changes can be swapped out for old features that are no longer necessary or a priority. As long as the change is of equal value, there is no further cost. Through the life of a project, more features may be picked that will not be achievable under a fixed price contract. For this scenario, either additional newly priced work packages can be added to the end of the project or reverted to time and materials. There are two methods that estimates can be covered in an Agile project record: a range of span or a range of characteristics. A range of duration provides an estimate to assume that the project or work package would take about 12 to 16 weeks for a given expanse. However, calculating duration adds expense as you keep project team members for an extended time, or it intends they can’t be delivered to work on other development projects. What Methodology Fits Your Project Best? Agile development methodology helps an organisation to learn faster, and testing issues to resolve. Also, customers’ feedback becomes the motivation factor. A team supporting the method itself triggers the development process, and everyone gets it done perfectly. But it is very important to understand that, no single methodology is a silver bullet, so the gambit is to determine which methods work for you according to company size, culture & budget and tune your methodology to suit your personal needs. For smaller projects and smaller team, Extreme Programming (XP) works well, while in the case of complex projects and bigger team Scrum methodology can be implemented. 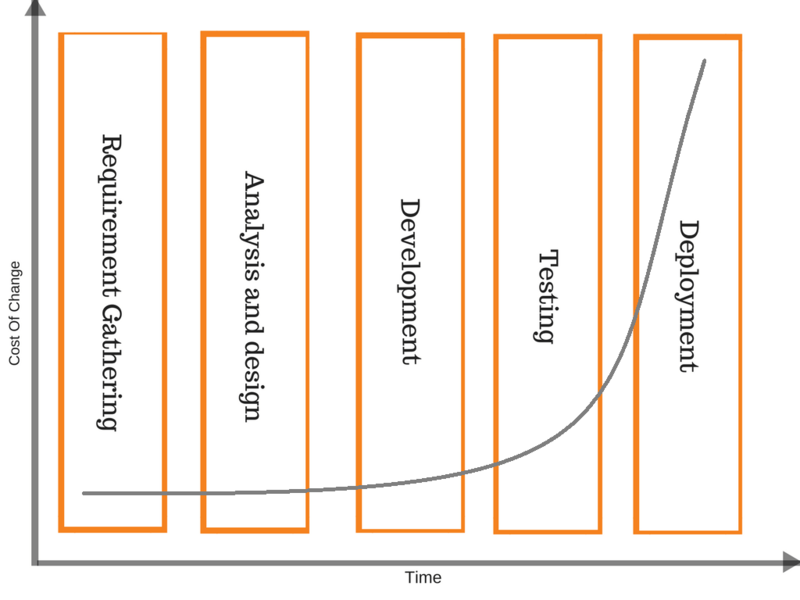 For quicker deliveries, the Lean development methodology is advisable. For any further assistance, we are always there to help you.